February was the month of LOVE! I hope it has carried over to this month. If we’re lucky, really lucky, it will continue until at least April 18. We ALL know that date. No, it’s not a B-day (at least, no one I know). It’s not an anniversary (not a good one). 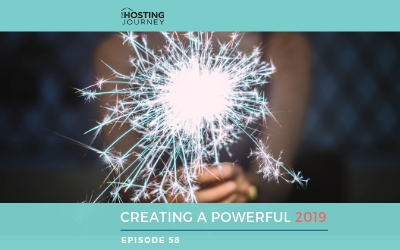 It’s not a holiday either, though if you joined my February Webinar it could be. Oh dear, did you forget to join my February Tax webinar? Well, as always you're in luck it’s on “Replay” below! 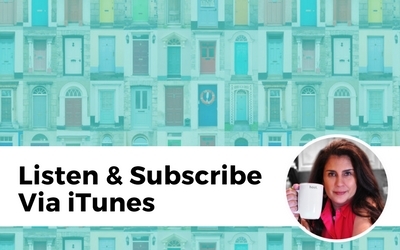 The ¨Airbnb, Taxes and YOU¨ Podcast is right below for your listening pleasure. 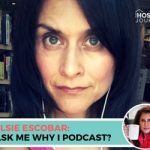 Please remember to tune in every week to The Hosting Journey Podcast. A Podcast for Hosters! 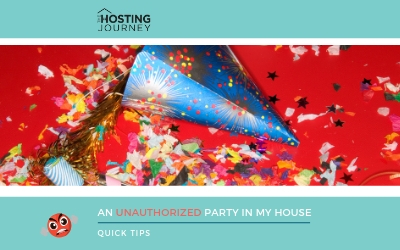 Where no hosting subject is taboo, and if it is, it won´t be! I’m much more forgiving than our IRS. To help us through this Tax maze, I brought in our resident sharing economy tax expert, Derek Davis, Certified Public Accountant from Shared Economy. Derek has been my guest for my tax webinars for the last two years, and he returned this year for a third round! We spoke about 1099, business deduction, and even the old good Schedules C and E.
I do hope you check out the Recap for the FUN TAX FACTS! The information contained in this website is meant only for guidance purposes and not as professional legal or tax advice. Furthermore, this information is not meant to be personalized legal, tax, investment, or any business advice in general. Airbnb = Not everyone gets a 1099. Reduced Standard Mileage for 2016 to 54 cents per mile. Insurance = Penalties this year, and will increase next year (this has to do with health insurance penalties). 1099 is a US tax form reported to hosts and to the IRS. It reflects how much income you have generated. 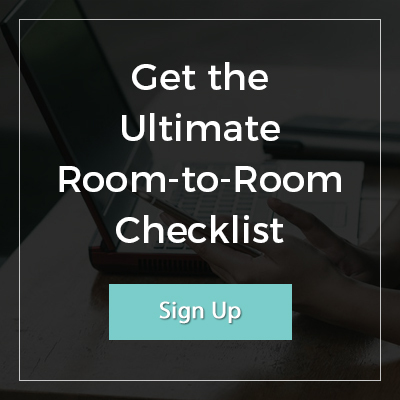 It is for independent contractors, consultants, and investors, including Airbnb hosts. You will only get a 1099 from Airbnb if you are a Host who earned over $20,000 AND had 200 transactions. So, if you’re waiting for the mail for your 1099, you will not get it unless you met BOTH requirements. Otherwise, no 1099 for you. So, if you’re waiting by the mail for your 1099, you will not get it unless you met BOTH requirements. Otherwise, no 1099 for you. This doesn’t mean you don’t need to report the income. Say what?! 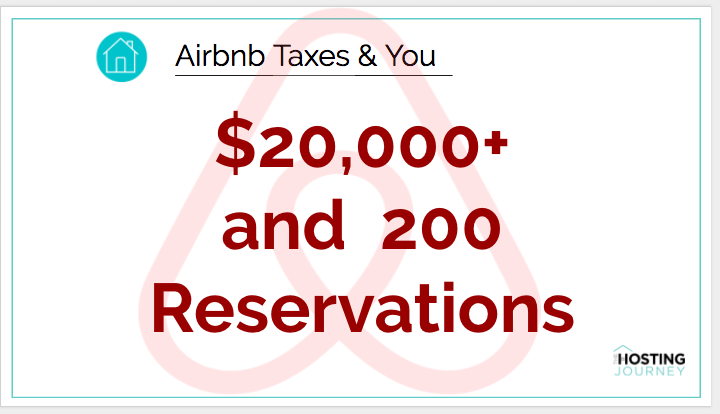 Yes, even if you don’t receive a 1099, you still need to report your Airbnb income in your taxes. There is no statute of limitation on income evasion, which means the government can come back to you at any time for not reporting your income. There have been plenty of celebrities caught for tax evasion. By implementing a 1099 threshold, Airbnb wants to classify itself as a 1099K, which is a Payment Processor. This means they are not hiring anyone directly in their platform; they only facilitate transactions between guests and hosts. Remember, whether or not you received a 1099, Airbnb’s 3% fee is included as part of the income you received. The amount that should be reported for tax purposes is the gross amount, including the 3% Airbnb commission. However, hosts can also list that 3% commission as part of their expenses. Schedule C means Active; Schedule E means Passive. Taxpayer (i.e., you) worked 500 or more hours during the year in the activity. Taxpayer does substantially all the work on the activity. Taxpayer works more than 100 hours during the year, and no one else works more than the taxpayer. Activity is a personal service activity. Taxpayer participates in activity on a regular, continuous, and substantial basis. Derek pointed out that more often than not his firm assigns hosts to Schedule C because this is the more conservative choice. In this Schedule, the host is paying self-employment tax. He also mentioned that a lot of hosts who classified themselves in Schedule E last year received letters from the IRS. 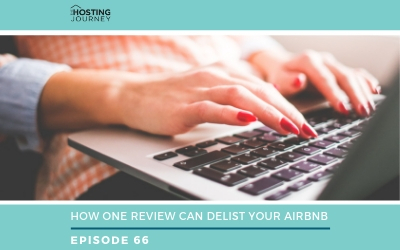 ‘Ordinary’ means that they are common and accepted in the Airbnb hosting industry. ‘Necessary’ means that they are helpful and appropriate for the business. 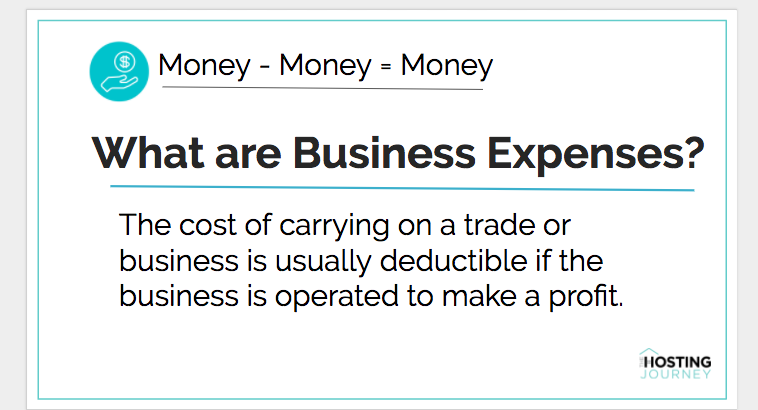 Examples of valid business expenses are food and beverages for guests, gas, car maintenance, and utilities. Even if you didn’t get a 1099 from Airbnb, you still HAVE to report your income. 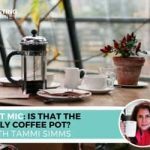 I highly suggest checking out the webinar to hear the many different questions the hosts asked. These questions included provide a 1099 to your cleaner and/or handyperson if you've paid them over $600 in a year. So yes, go to the webi. 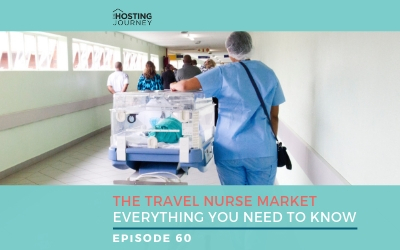 You’ll get ALL this info and more. Plus, you'll see the fun you missed. I do recommend that you contact an accountant, CPA, or Derek. You can always deduct their fee on next year’s taxes. What is occupancy tax? Do I need to collect or pay it? What expenses are deductible from my Airbnb income? In what areas is occupancy tax collection and remittance by Airbnb available? 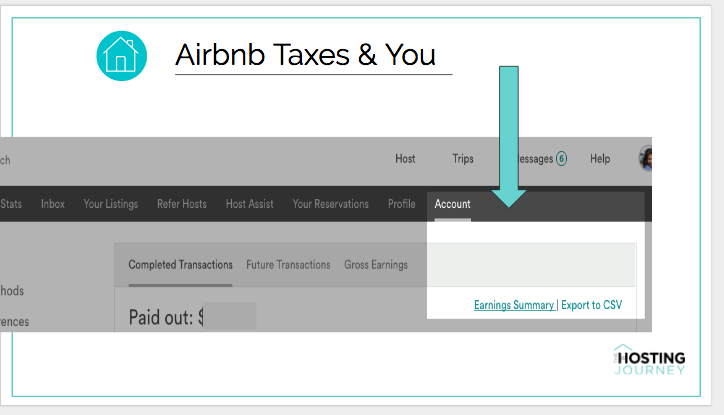 Should I expect to receive a tax form from Airbnb? 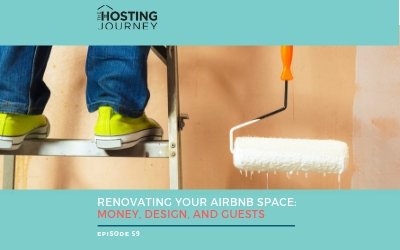 Where do I find my Airbnb earnings for tax purposes? How do I change my taxpayer information? Can I correct an error on my tax form? How do I split income between multiple people? 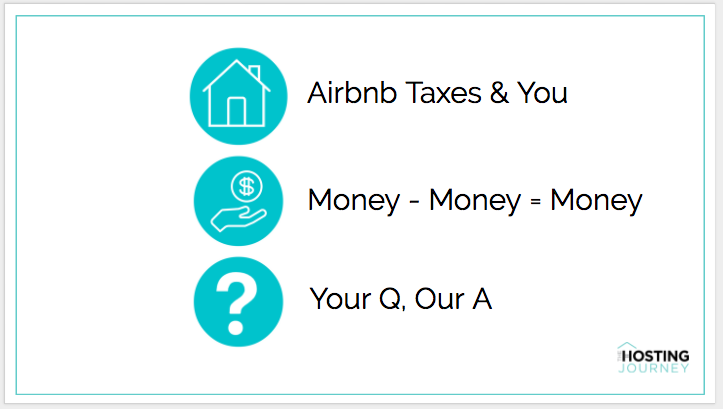 Why is Airbnb requesting my taxpayer information? Why are taxes being withheld from my payouts? Where do I find my VAT invoice? How do I provide my VAT ID number? Airbnb Ernst & Young General guidance on the taxation of rental income. I intended to draft you the very little observation to finally say thanks as before for your personal spectacular ideas you have featured in this case. This has been really pretty generous with you to deliver freely all most people would’ve marketed for an electronic book in order to make some dough for their own end, notably considering that you might have tried it if you considered necessary. These concepts also acted like the easy way to recognize that other people have similar zeal really like mine to see a little more regarding this condition. I am sure there are some more pleasurable occasions in the future for folks who read through your website.